Fun, inventive, exciting — and totally non-canonical. The sequel to 2014’s wildly popular Shadow of Mordor is a thrilling third-person action game set in J.RR. Tolkien’s fantasy universe. 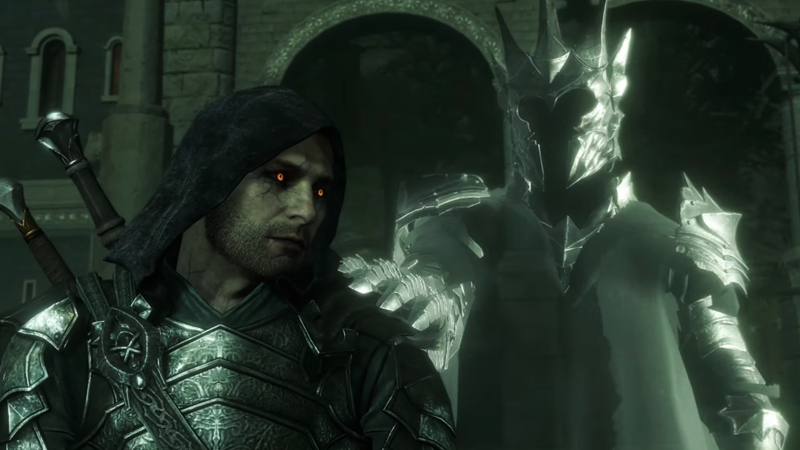 But longtime fans will still ask one question: Where does the ranger Talion’s adventure with the wraith form of the Elven Lord Celebrimbor fit in with Tolkien’s timeline of Middle-earth? In other words, does this game and its predecessor count as real Lord of the Rings canon? Like the first game, Shadow of War takes place in between the events of The Hobbit and The Lord of the Rings. Bilbo keeps the One Ring in the Shire for about 60 years in between the books, and it’s during that stretch of time that we explore Mordor with Talion and Celebrimbor. Sure, the universe is big enough and that particular area unexplored enough that Talion’s adventure(s) could conceivably fit as “canon,” but the games create a series of inconsistencies and other discrepancies that don’t match up. 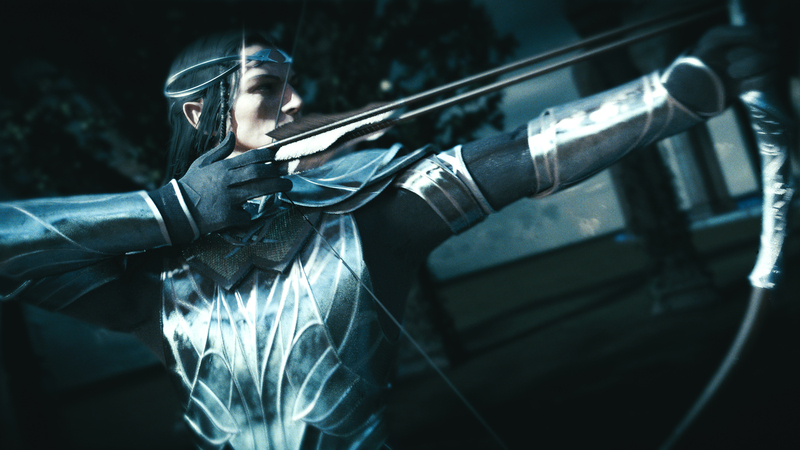 Celebrimbor in all his glory. Shadow of War mines the lesser-known story of Celebrimbor, a canonical Elven lord — first mentioned in The Fellowship of the Ring — who used a magical hammer gifted to him by Sauron to forge the Rings of Power, including the nine Rings of Man that go on to corrupt former kings into the Nazgul. This guy is a big deal because without him, the idea of there being a “lord of the rings” in Lord of the Rings, doesn’t really exist. As any Tolkien-head knows, Sauron tainted all of these rings, except the three Elven rings (possessed by Gandalf, Galadriel, and Elrond in The Lord of the Rings). Celebrimbor even assists in forging the One Ring, but he’s betrayed by Sauron and killed. This is all legitimate canon. Cate Blanchett’s voice over in the first LOTR movie doesn’t mention this guy by name, but he’s inherently there because he made those Elf rings. These rings were MADE by Celebrimbor. In the Shadow games, Celebrimbor appears as an amnesiac wraith that lingered in Mordor for around 3,700 years following his death. He bonds with the human ranger Talion during a summoning ritual — magic that doesn’t really exist in Tolkien’s Middle-earth. Together, they become a superpowered, immortal being in a way that makes for a really cool video game premise, canon be damned. Normally, the spirits of dead elves should go to the Halls of Mandos in Valinor to potentially be reincarnated after a time. But this is Sauron’s dark magic after all, so who knows what it’s really capable of? 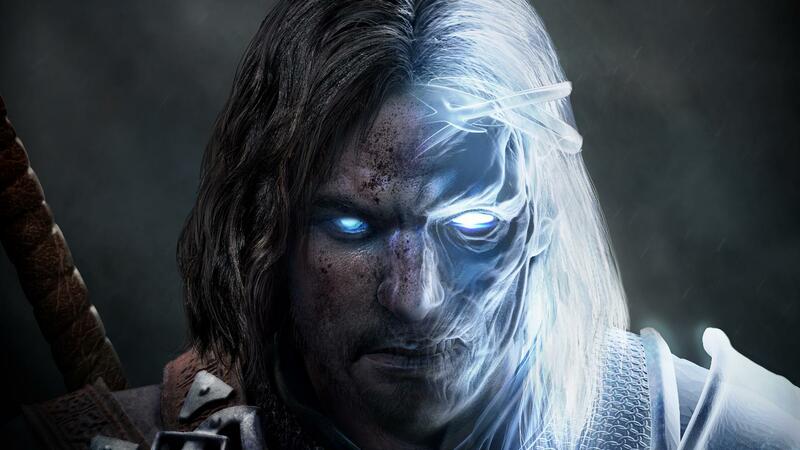 Talion is a powerful undead warrior. At the start of the first game, Talion is a captain of Gondor that guards the Black Gate of Mordor, which is an area that isn’t visited all that much in the books. When we visit anywhere near the Gate in the books, the entire area is overrun by Sauron’s army. Now, considering these games take place decades before The Fellowship of the Ring, it’s entirely plausible that Talion and his regiment were stationed there. More problematic is Talion’s resurrection: Much like Celebrimbor, Talion’s spirit should have moved on to the Halls of Mandos upon his death. The etymology of “talion” itself comes from the Latin for “eye for an eye,” fitting for a character so focused on vengeance for his afterlife. New Ring of Power looks familiar but also very different. 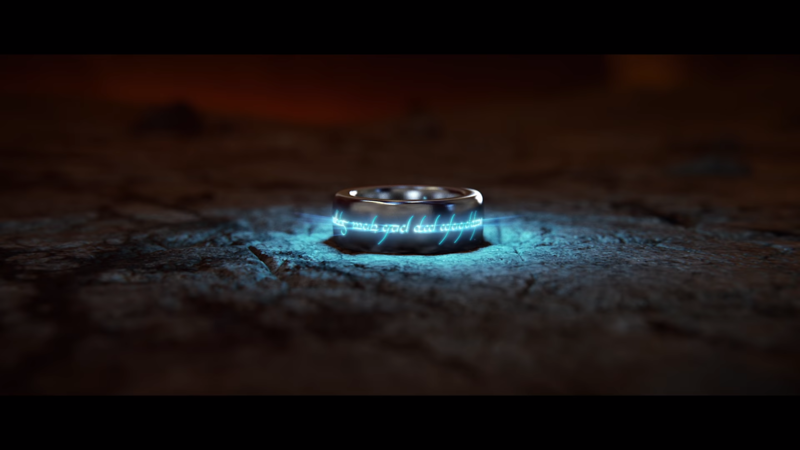 The main plot point at the start of the new Shadow of War is Celebrimbor’s creation of a new Ring of Power free from Sauron’s control, which grants much of the same power but none of the corruption (supposedly). He uses it to dominate the minds of orcs and build up an army that can fight Sauron. Is it as powerful as the One Ring? Definitely not. If there’s one part of Shadow of War that we should reject outright, it’s this one, because this could have incredible implications were it taken as canon. Minas Ithil before it's corrupted into Minas Morgul. Though Shadow of War offers up a lot of questionable details about how this went down, we might as well accept this one as full canon. It’s fact that at some point, Sauron’s forces took over Minas Ithil — the last human bastion protecting the rest of Middle-earth from Mordor — and renamed it Minas Morgul. Fans of the movies might remember Minas Morgul as the creepy green city that the Nazgul rode out from in Fellowship of the Ring, the same that Sam and Frodo later passed by in The Two Towers. The main reason why the Witch King of Angmar takes control of the city is to seize the Palantir (a seeing stone) that’s kept there. It’s later brought to Barad-dûr, Sauron’s home base, and later used to corrupt Saruman the White. Um, is that really Shelob? In Shadow of War, Shelob inexplicably takes the form of a beautiful woman. Yes, Shelob, the giant spider that drained orcs and humans — and almost Frodo — of their blood. During War, she’s able to trick Talion out of his new Ring and spends time using it to peer into the future before giving it back after she realizes he needs it to fight Sauron. In Tolkien lore, Shelob is the greatest offspring of Ungoliant, who’s the primordial spider. Supposedly, she existed “before Sauron, and before the first stone of Barad-dûr.” Sure, Shelob is really old, but she’s still supposed to be just a big spider — not some kind of shape-shifting seductress. So apparently Talion is more powerful than Gandalf the Grey. Remember how Gandalf basically died fighting a Balrog? Well, as Talion you can totally fight and kill a Balrog! 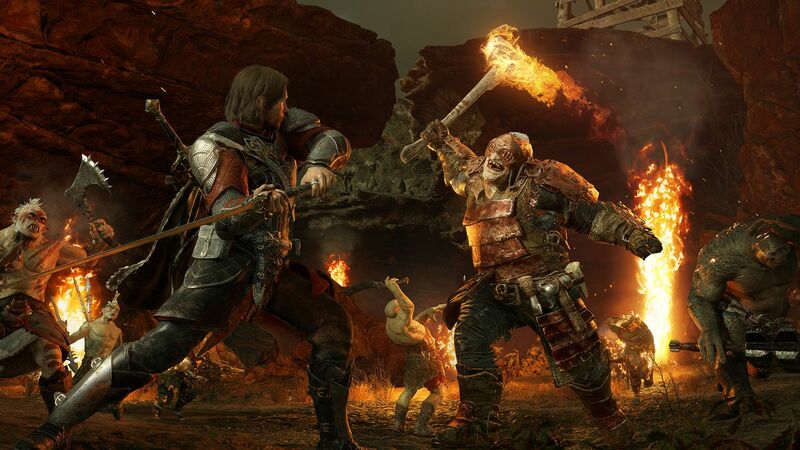 Orcs awaken the Balrog Tar Goroth during Shadow of War, and Talion defeats him with some extra help. Keep in mind that Balrogs pre-date even Sauron. Their powers are on par with the Wizards of Middle-earth but they served Morgoth, Sauron’s evil predecessor. They’re all supposed to be long dead. Experiences like fighting a Balrog make these games feel similar to Star Wars: The Force Unleashed when it comes to canon, which is to say it explores a really fun “what if?” scenario that isn’t “real.” It’s cool to think that Darth Vader had an ultra-powerful secret apprentice behind the Emperor’s back, but we all know it didn’t actually happen. 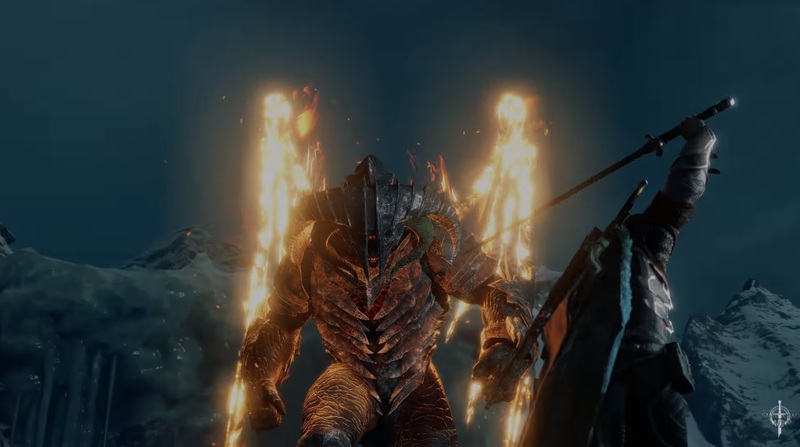 And Talion taking down a Balrog is the equivalent of Galen Marek fighting a Bull Rancor. Isildur gets an expanded backstory and role in 'Shadow of War'. Whatever happened to Isildur, Aragorn’s ancestor, after he died? By most accounts, he was killed by orcs at the Disaster of Gladden Fields (the movies offer up an oversimplified version of what actually happened) and left dead in the river. He’s often remembered for cutting the Ring from Sauron’s finger, but he kept the Ring for himself and lost it in the river. 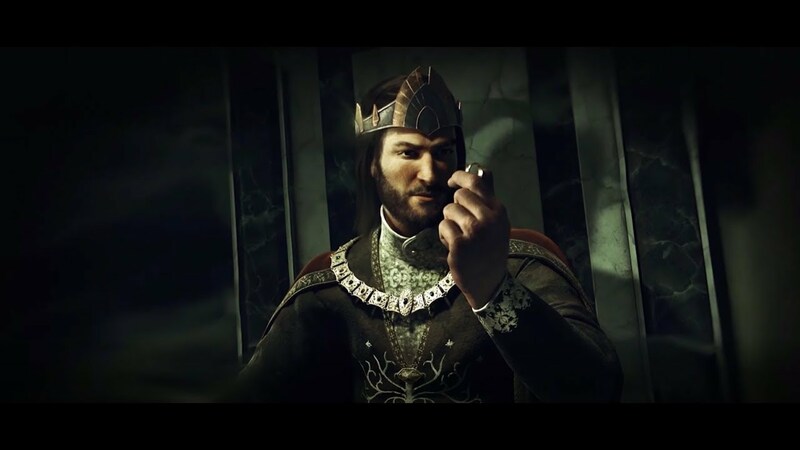 Shadow of War would have us believe that the orcs dragged Isildur all the way back to Sauron after he died, and the Dark Lord “put a ring on it,” so to speak: He literally put a Ring of Man on Isildur’s finger, which resurrected the dead king, transforming him into a Nazgul. During War, Talion fights and destroys Isildur, releasing his spirit rather than dominating him with the new Ring. Isildur can finally rest in peace. Celebrimbor doesn’t like this one bit, so he abandons Talion. Instead, the wraith possesses Eltariel, an elf assassin-type sent by Galadriel (not to mention those canon issues). 'Shadow of War' offers an explanation for why Sauron appears as a flaming eye, and it's a crazy one. This one’s a bit crazy, but in the final confrontation against Sauron at his tower, the Dark Lord severs the hand of Eltariel/Celebrimbor, essentially de-powering them. Sauron is then somehow able to fuse with Celebrimbor and the two remain trapped in the tower as a flaming eye, constantly struggling to dominate one another. The flaming eye we see in the Peter Jackson films atop Barad-dûr isn’t quite what’s presented in the books. Still, War adopts the flaming energy fueling the eye and presents it as a physical manifestation of the ongoing struggle between Celebrimbor and Sauron. The biggest bombshell from Shadow of War comes at the end when we learn Talion’s ultimate fate: Talion becomes one of the Nazgul. After he’s abandoned by Celebrimbor, Talion begins to die. His only option is to take Isildur’s Ring, which he uses in the final fight against Sauron. After, he uses the power to contain Sauron’s forces in Mordor for as long as he can, but he eventually goes full-on Nazgul, which would make him one of the Ringwraiths that hunts Frodo. This canon definition doesn’t really fit in with how Isildur and Talion as Nazgul functions in Shadow of War, but it’s interesting to go back and watch the movies and think to yourself: Was Talion the one that sniffed for hobbits at the tree? Was he there on Weathertop? How did it feel when he was drowned by the magical flood? We can’t know, but it’ll be fun to rewatch the movies with this in mind. Middle-earth: Shadow of War is out now on PC, PlayStation 4, and Xbox One.